"Great book on safety strategy. This book is the next step (or STEP) in safety strategy development. While their book STEPS lays out all of these concepts, it is also dense with information and requires some time to digest. This book is an easy read and really probes at the "Why" question. Many people look for easy answers on safety. There aren't any but this book provides you with the questions that should be asked. When faced with thinking about strategy, safety professionals have had to translate/try to interpret externally focused books into what they are working on. 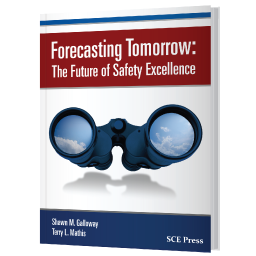 This book has specifically focused on safety strategy and provides great guidance to build on." 'Thank you, Shawn for your insight, your passion, and your willingness to help and equip others on their journey towards a Culture of (safety) EXCELLENCE." "Most books on safety seem to turn into regurgitated information from all the other books and manuals already in existence. 'Inside Strategy' throws all of that out the window. Shawn and Terry bring an approach rarely discussed in a safety aspect when it comes to success - the STRATEGY of how to get there. By building upon the simple three part concept discussed in the writings it is almost impossible not to reap the rewards of continued improved safety excellence. This book is a must read at all levels. Outstanding information in an easily understandable format." "Inside Strategy is a must-have for leaders on a mission. When you don't know where to start on your improvement journey, Shawn and Terry offer practical and valuable guidance, almost a road map, for seeing, defining, and setting strategic direction. When you can't quite wrap your arms around an action plan, read this book. Inside Strategy takes into consideration where your organization is, where you want it to be, and most importantly, the people that live the culture within it. When you understand, like these experts do, that behavior drives the success you desire, you are more apt to focus on the right things. Shawn and Terry combine thought provoking questions with accounts of "been there" that get you to focus on those right things." "ProAct Safety has been a valuable resource for the reference and implementation of safety culture strategy for over two decades. Inside Strategy artfully takes the impactful ProAct Safety insights of safety culture to the more broad applications of full organizational culture. Inside Strategy raises the bar for strategic thinking today and future generations." 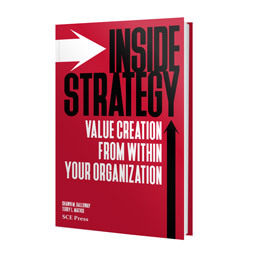 "Inside Strategy challenges the reader to step outside of the traditional business strategy thinking, and look much deeper in the individual core components that make an organizational strategy successful." "Strategy - we can all define it, we think. Galloway and Mathis take a fresh look at this topic and make a compelling case to re-think business strategy in new terms: inside our organizations. Not many companies understand how important our internal strategies are to creating long-lasting business success and deep value. Inside Strategy is a thoughtful and thorough piece of work that starts with first principles and leads the reader on a logical and compelling journey. When you are done with the book you will be left with an urgent desire to get to work on developing your own internal business strategies. This book is a worthwhile investment." "Through their book Inside Strategy, Shawn Galloway and Terry Mathis provide an excellent framework for using strategic thinking to improve performance within any organization. Their work with my former organization helped us to identify the critical few issues, formulate a strategy for change, drive alignment and develop a roadmap for implementation. In this book they lay out a philosophy of continuous improvement that draws on everything from the Greek classics to their experience in the trenches of business." "This well written guide to strategy execution contains questions that while simple, are amazingly clarifying at focusing us on the path to excellence."